Watercolour Painting + Pigment making workshop with Stella Maria Baer May 2019 - Ghost Ranch, New Mexico. Learn more here! In this workshop we will learn how to make watercolors from sand and dirt and then paint our own color study meditations with the natural pigments of the desert. We will paint outside in the cool of the day. Participants may choose any subject matter for their painting, whether abstract, figurative, or landscape. The instruction will focus on how to make natural pigments from the landscape and paint meditations on color, with an emphasis on experimentation and contemplation. From Santa Fe, we travel 70 miles north to the tiny community of Abiquiu where we will spend the next 4 days exploring the region and learning to paint with Stella surrounded by the visually stunning landscapes of Ghost Ranch that captivated and influenced the work of Georgia O'Keeffe. This workshop is open to all ability levels from beginner to experienced. Located in the heart of Georgia O'Keeffe country, Ghost Ranch offers simple accommodations reflective of its origins as a working ranch. The rooms are fairly rustic and cozy with magnificent views. All units provide breathtaking vistas of colorful sandstone cliffs, cottonwoods, and distant mountains. After sundown, the expansive skies offer dazzling panoramas of the planets and stars without pollution of city lights. This Ace Camp is limited to 12 people. *Rooms are shared with one other guest. We have two private rooms available at Ghost Ranch, these private rooms will be assigned to the first 2 registrations who request one. 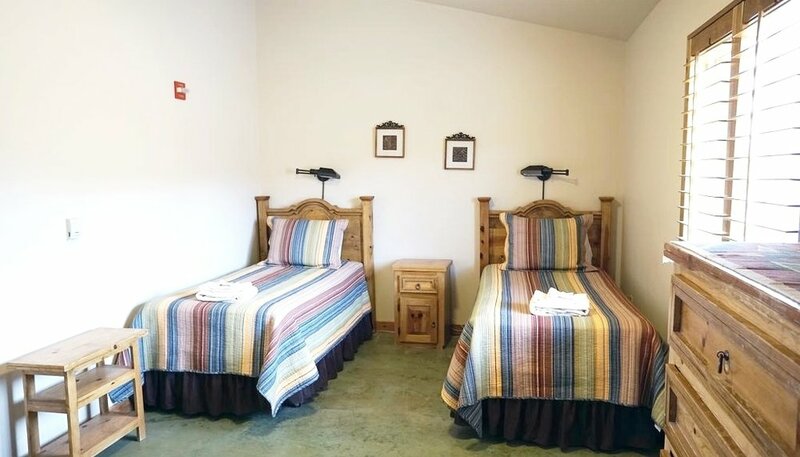 All rooms in Santa Fe are shared with one other guest. Airfare to Santa Fe, New Mexico is not included. We’re sorry this trip has sold out! If you are interested in painting and pigment making with Stella Maria Baer please add your email to our notification list by clicking the button below - we will contact you as soon as we launch our next workshop. Thank you! Due to the varying backgrounds of participants, you will be given an option closer to the workshop to purchase materials from us or to gather your own from a list we send to you. You will be required to bring a traveling french easel. These easels are fairly easy to travel with and allow you to be mobile while painting on site at Ghost Ranch. 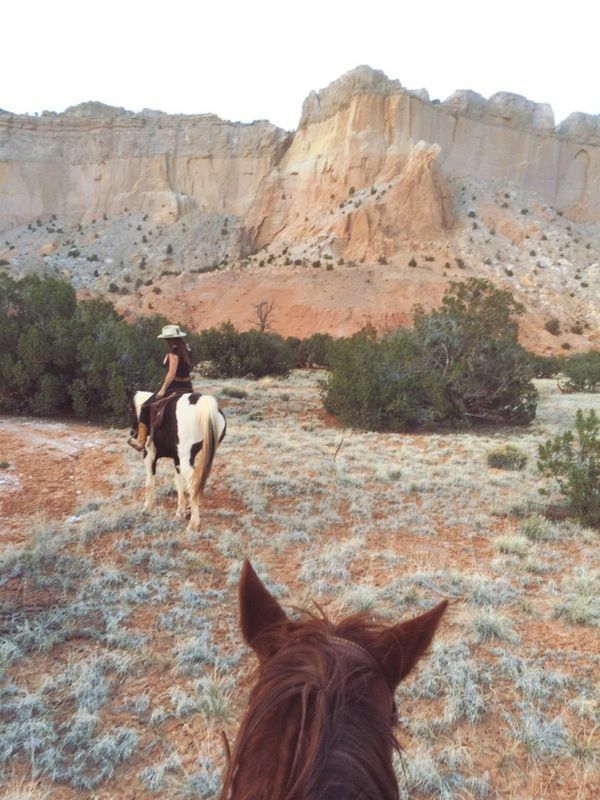 Optional Activity - Ghost Ranch offers daily horseback trail rides. You will ride out to the area where Georgia O’Keeffe found her inspiration, completed several paintings and owned a home. The cost is approximately $95.00 USD and Ace Camps can make a booking for those interested closer to date. Stella Maria Baer is a painter and photographer originally from Santa Fe, New Mexico. In her work she explores the mythology of the desert, the cosmology of space, and the topography of the human body. For the past four years she has worked on a series of paintings of moons and planets, bleeding out her memory of growing up in the desert while meditating on a sense of feeling at home in a place that looks like another world. In the past year she has explored at the relationship between women and land, in paintings of the human figure, photographs of women in the desert, and in making paint from sand, dirt, and cacti. You can follow Stella @stellamariabaer on instagram . "Dinosaurs once walked the soggy wetlands that became the arid high desert of Ghost Ranch. Millions of years later Navajos and various other tribes roamed the valley. The Spaniards settled here and then came the cattle rustlers, the wranglers and the dudes. Arthur Pack, one of the country's first environmentalists, bought the Ranch and sold a little piece of it to Georgia O'Keeffe. Scientists took respite time here from the stresses of building the nuclear bomb at Los Alamos. Famous guests have included Charles Lindbergh, Ansel Adams and John Wayne. We will spend four days here at Ghost Ranch painting amongst the red rocks and white cliffs, gathering inspiration from the landscape around us. You may choose to arrive at either Santa Fe Regional airport or fly into Albuquerque International airport and take the Sandia Shuttle direct to Santa Fe in about an hour. Ghost Ranch has a very dry, high desert climate with intense sunlight. May sees average high temperatures hover in the mid-70s, with infrequent afternoon showers and comfortably cooler nights. This regions high altitude (7,000 feet above sea level) means air is rarefied, thinner. It usually takes about 48 hours to adjust and staying hydrated helps. The ACE CAMP TOUR LEADER is a part of your group and are there to look out for your safety, to help resolve issues, and to make sure you get what you want from your vacation. The Tour Leader will make sure that everyone who wants company has it. They also work with the local guides to insure the right combination of pace, information, and duration - and, well...keep the ball rolling. Travel Day - plan to arrive in Santa Fe, New Mexico. Make your way to our hotel. This evening we have a meet + greet welcome dinner. This morning we wake up early and travel to Ghost Ranch. 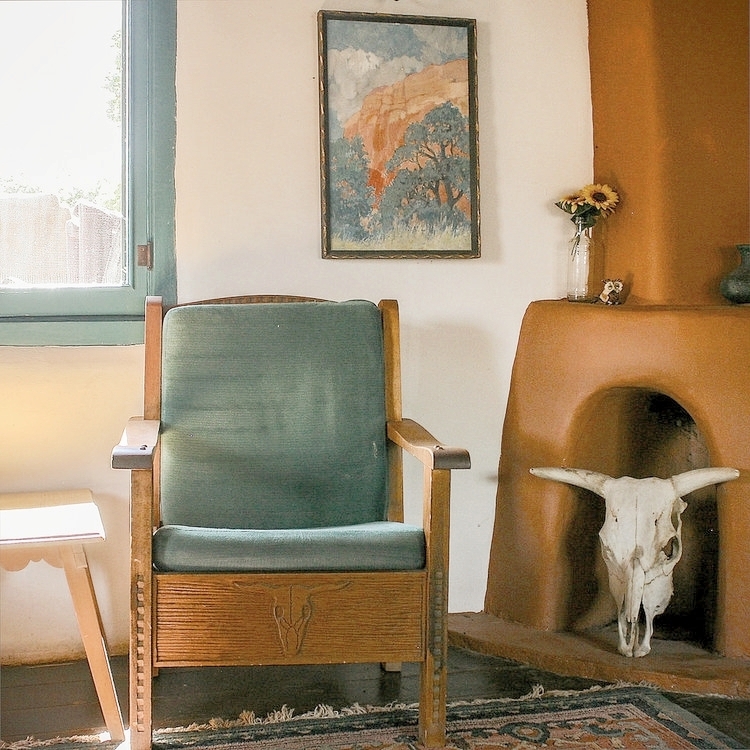 Once in Abiquiu, we head a few minutes down the road to the historic adobe home and studio of Georgia O'Keeffe. This tour offers an experience of the environment in which she lived and worked. The house inspired more than two dozen paintings: a door through the patio wall attracted her attention on a daily bases and she painted it more than twenty times. Similarly, the cottonwood trees, growing in the Chama River Valley below her studio, were the subject of several paintings. This afternoon we continue exploring the area and the life of Georgia O'Keeffe as well as the history of Ghost Ranch. We visit the ranch to see through your own eyes the scenes and actual locations of Georgia O’Keeffe’s paintings interwoven with stories of her fifty years spent living here, and learn about the history of the area, geology, flora and fauna. We'll begin with a history of natural pigments, then survey the different color dirt and sand found in the high mountain desert. Then we’ll go for a walk in the hills and gather our own dirt, sift it, grind it, and begin the water refinement process for making the pigments. In the afternoon we'll learn how to mix gum arabic, honey, and glycerin into the refined pigments, and store the paint in trays for long term use. We’ll end the day experimenting with making our own paintings using the watercolors made from natural elements. If the skies are clear tonight, it will be a perfect time for star-gazing. Today we will focus on different watercolor techniques: washes, bleeds, and the use of salt and gum arabic. We will experiment with making color study meditations inspired by the landscape around us. In the afternoon we will make a second color of paint from natural pigments and then experiment using the new techniques with the watercolors. Today we will continue with our painting projects, exploring landscape, figure or abstraction in our watercolor meditations. In the afternoon we will make a color chart from the different natural pigments, looking at mixing and gradation. We will finish the time with a final meditation, painting using all the techniques we’ve learned and drawing on the forms in the landscapes we’ve seen on our trip. After breakfast, we say our goodbyes + drive back to Santa Fe.